*Paoli Station is under construction. Please refer to Plan the Keystone for more information. Southeast Daily Lot – Located on Lancaster Avenue with 136 spaces. It serves both SEPTA and Amtrak customers. Northeast Daily Lot – Located on east side of N. Valley Road near the westbound platform with 46 parking spaces. It serves both SEPTA and Amtrak customers. 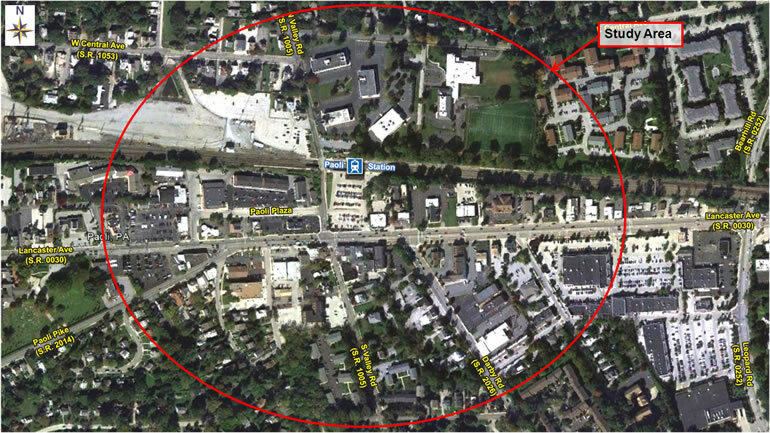 SEPTA Monthly Lot – Located on west side of N. Valley Road near the westbound platform with 309 spaces. All of the spaces are permit parking only reserved for SEPTA monthly pass holders. There are two bicycle racks available to accommodate a total of four bicycles. They are both located on the southern side of the track next to the eastbound platform.